That question answers itself, does it not? I’m pretty sure Pink Floyd did not have form documents promulgated by the Texas Secretary of State’s office in mind when those lyrics were written. Nonetheless, it’s a helpful reminder that you often get what you pay for when it comes to free legal forms. Or perhaps the economic maxim of TANSTAAFL (“There ain't no such thing as a free lunch”) would be a more suitable reference. Regardless, for those looking to incorporate a Texas for-profit corporation, I do not recommend using the Texas Secretary of State’s form of Certificate of Formation (Form 201), which is available on the Secretary of State’s website here. What’s so bad about Form 201? Well, nothing is horrible about it – you could certainly file it (and pay the related filing fee) and have yourself a functioning Texas for-profit corporation. 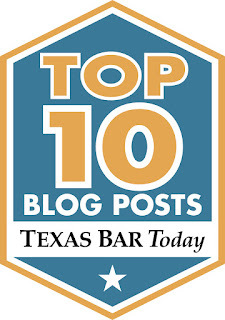 But an experienced Texas corporate lawyer is likely to suggest a using a form of Certificate of Formation that includes other helpful provisions in addition to the minimum required provisions dictated by the Texas Business Organizations Code (TBOC). Director Exculpation. As a rule, directors do not like to be subject to potential personal liability in connection with their service as a director of a corporation. So Texas corporations often elect to take advantage of Section 7.001 of the TBOC, which permits a Texas corporation to exculpate (relieve from liability) its directors from liability to the corporation or its shareholders. They may achieve director exculpation by adopting a director exculpation provision as part of the corporation’s Certificate of Formation. The basic Form 201 does not include a director exculpation provision, though one could elect to supplement the basic Form 201 by adding such a provision (or any of the other provisions discussed below). Our clients typically elect to include a director exculpation provision in their Certificate of Formation when forming a new Texas corporation. Mandatory Indemnification of Directors and Advancement of Expenses. Likewise, directors typically think it’s a good idea to have corporations on which they serve indemnify (cover the costs of) directors from potential liability arising from their service as a director. While exculpation relieves directors of liability to the corporation and its shareholders, indemnification protects directors from claims made by third parties. Section 8.101(a) of the TBOC permits Texas corporations to indemnify its directors who gets sued by a third party because of their service as a director so long as the director (1) acted in good faith, (2) reasonably believed that his or her actions taken in an official capacity were in the corporation’s best interest, (3) reasonably believed that his or her actions in all other cases were not opposed to the corporation’s best interests, and (4) in the case of criminal proceedings, did not have reasonable cause to believe his or her conduct was unlawful. Section 8.103(c) of the TBOC permits a Texas corporation to adopt a provision as part of its Certificate of Formation which makes permissive indemnification mandatory. That means that once it has been determined that a director has met the 4-part standard described in the previous paragraph for a corporation to be permitted to indemnify a director, then the corporation would be required to provide such indemnification for the benefit of the director. Of course, sometimes it is unclear at the outset of a suit against a director whether or not the director has met the standard for permissive indemnification. Meanwhile, the director may be incurring substantial expenses in defending himself or herself against third party claims. In cases where it has not yet been determined if the director has met the standard for permissive indemnification, Section 8.104(a) of the TBOC permits Texas corporations to advance expenses to directors in connection with their defense of a claim, so long as the director provides a written statement confirming that (1) the director believes he or she has met the standard for permissive indemnification, and (2) the director will repay any expenses advanced if it is ultimately determined that he or she has failed to meet the standard for permissive indemnification. Section 8.104(b) of the TBOC permits corporation to adopt a provision in part as part of its Certificate of Formation requiring the corporation to advance expenses to directors who have provided the written confirmation described in the previous paragraph. As one might expect, directors of Texas corporations typically think it is a good idea to include such an advancement of expenses provision in the corporation’s Certificate of Formation. Action by Written Consent of less than all Shareholders. Let’s say you want to amend the corporation’s Certificate of Formation to change the name of the corporation. As with any other amendment to the Certificate of Formation, that change requires the approval of the corporation’s shareholders. If all shareholders are willing and able to sign a written consent approving the name change, then shareholder approval is fairly simple. But let’s further assume that all shareholders fully support the name change, but one of the shareholders, holding only 1% of the corporation’s outstanding shares of stock, is on vacation and is unable to sign a written consent approving the name change. What then? Well, if the name change is important and the corporation does not have a provision in its Certificate of Formation authorizing shareholder action by less than unanimous consent, the only way the corporation may change its name is to call a meeting of the shareholders to approve the name change. Such a meeting must be done in compliance with applicable notice, quorum, proxy, and other provisions of the corporation’s bylaws and relevant provisions of the TBOC. Finding a time and place convenient for an adequate number of shareholders to attend in person or by proxy may be difficult. On the other hand, a corporation with a Certificate of Formation that includes a provision permitting shareholder action by less than unanimous written consent of its shareholders (as permitted by Section 6.202 of the TBOC) can very easily circulate a written consent to its shareholders requesting approval of the name change. Once signed by a sufficient number of shareholders, the name change may proceed. Section 6.204 of the TBOC provides that a corporation need not provide advance notice to shareholders of shareholder action taken by written consent, so depending upon the advance notice of a shareholder meeting required in the corporation’s bylaws, the right of shareholders to take action by written consent can be important when timing is critical for a matter requiring shareholder approval. Of course, that’s just of few of the possible Certificate of Formation provisions ignored by the Secretary of State’s Form 201. A Texas corporation might elect to include all sorts of other provisions in its Certificate of Formation, including provisions authorizing preferred stock, providing for preemptive rights, providing for cumulative voting rights, electing status as a “close corporation,” or adopting other provisions which may be appropriate for some Texas corporations. Bottom line, careful consideration should be given to the options available to a new corporation before just grabbing Form 201 and filing away.